Darlene with you today and I have a card to share that was quick & easy to create and would be a good card to have on hand. 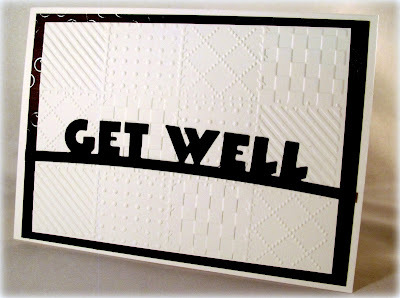 It seems these days I'm always in need of a Get Well card to send in hopes of lifting the spirits of a friend or family member who is under the weather. This card was created in a matter of minutes. I have used the Darice 'Quilt Blocks' embossing folder for the background and one of the many fabulous word dies available at the Dies R Us Store. You can find a huge variety of word dies from various companies available ... simply type the word you are looking for in the SEARCH box and it will show you what is available for purchase at that time. 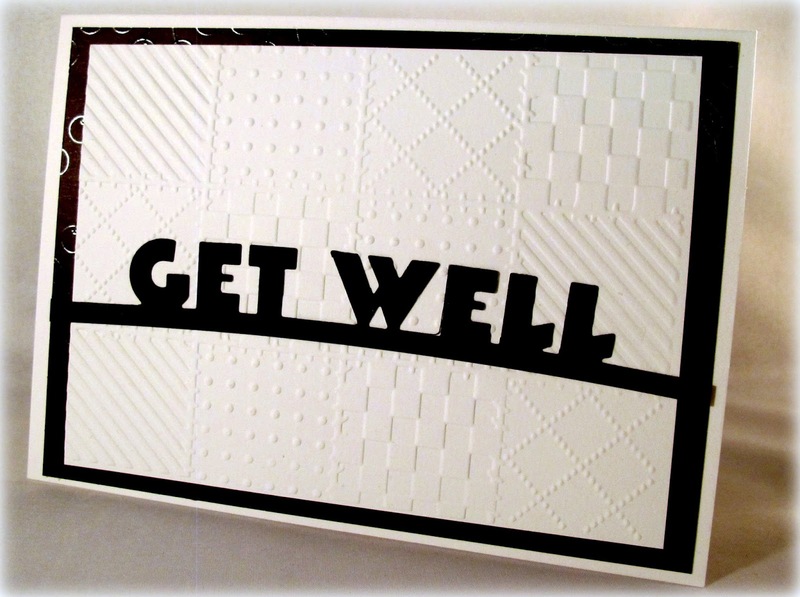 Unfortunately, this fabulous DieVersions 'Express Edges - Get Well' #DVE-028 die cut is no longer available but I'm sure you will find others that would fit your needs just as well. Did you realize that Dies R Us has Embossing Folders? Yep ... click HERE to see what's available. There's even stamp/die sets available ... we are quickly becoming your ONE STOP SHOPPING site! Product changes DAILY so be sure to stop back often to see what's new in the store! We have a new challenge running through the 28th over on our Dies R Us Challenge Blog. The theme is HOT COLORS. Why not come join in the fun!! YOU could be the next winner of a gift voucher to the Dies R Us Store!! You can come back here every day of the work week (Mon-Fri) for new inspiration using die cuts from this very talented team! Sherri will be here tomorrow with a fabulous creation and you'll see me again on Friday!